We’d got wind of something about to happen regarding the 50 cars that comprised the entry list for this weekend’s Le Mans test day (and the race) – and now it’s confirmed by the ACO: the Spanish Icer Brakes Ferrari has been withdrawn, and the F430 GTC will be replaced by Peter Seikel’s Porsche 911 GT3-RSR. Seikel was unlucky to have missed out on an entry (among the 50) this year, but his patience has been rewarded. The Jesus Diaz Villaroel Ferrari became a question mark after the lap 1 accident at the Spa 1000 Kms, when Peter Sundberg became involved in the multi-car accident at the top of Eau Rouge. We believe that alternative arrangements were made, involving the use of a different Ferrari, owned by another team, but those arrangements fell through as late as this week – and the entry was “forfait”. Peter Seikel’s Porsche was originally third among the reserves, but one of the first two reserves was withdrawn in the middle of May, and the other couldn’t be made ready at such short notice. 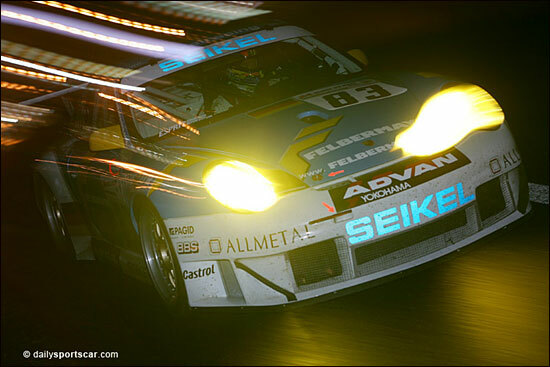 Seikel Motorsport will be racing in its tenth Le Mans 24 Hours. No word on Seikel drivers yet, but presumably the 'phone lines will be alive today. David Shep, Philip Collin and Horst Felbermayr Snr. were classified seventh in GT2 last year.